is a certified life coach, author, speaker, and trainer. With one-on-one and group coaching, she helps her clients to define what matters most in their lives, and to realize what is and isn’t working. Collaboratively, they move through a customized plan to find more joy and less chaos in the everyday. Many of Julie’s speaking topics are based on her workbooks and courses. Creating Time and Energy is her most recent publication now available on Amazon. This versatile workshop brings to light some basic truths about where time and energy may be leaking from our lives. How often do we identify ourselves as “crazy busy”? When we ground ourselves in what we value most, the daunting “sea of choice” becomes easier to navigate. Instead of “crazy busy,” participants can own a calendar filled with no regrets and use their energy on the most fulfilling aspects of their lives. 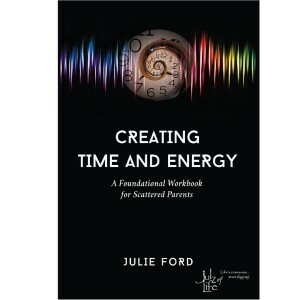 Time and energy have always been there – let Julie help your group find it in the mess of it all. This program is available with 10 one-month memberships and/or 1:1 coaching for participants to seal in the learning in a customized way. Based on Julie’s second workbook (now in progress), this workshop is an exploration in chaos tolerance and mitigation. Chaos happens, so what do we do when it does? In this workshop, we identify behaviors in ourselves and those close to us (colleagues, family members, etc.) that indicate a chaos level of code yellow or more. We also identify methods to mitigate chaos and/or coping mechanisms to get us through until situations calm. 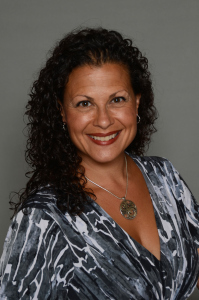 Julie provides interactive learning and discussion, and one-on-one coaching follow-up (1 hour per participant) to customize and solidify valuable changes for each participant. As a parent of two daughters, raising the next generation is a mission dear to her heart. By helping organizations support their high-performing individuals, Julie hopes to transform “work/life blend” into a wildly positive notion!